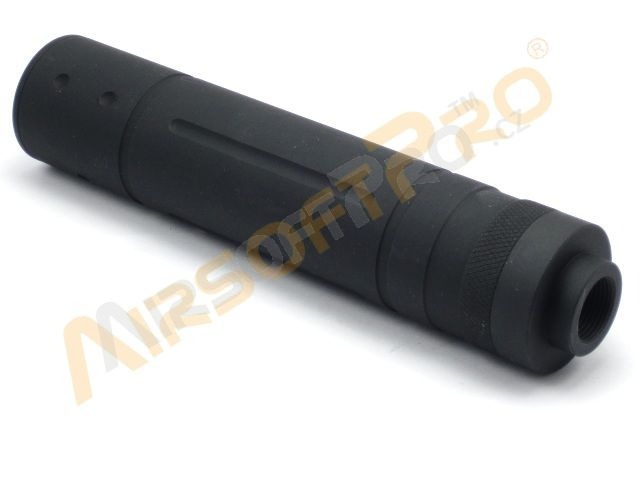 Metal suppressor with standard 14mm Anti-Clockwise Thread. Made of aluminum. 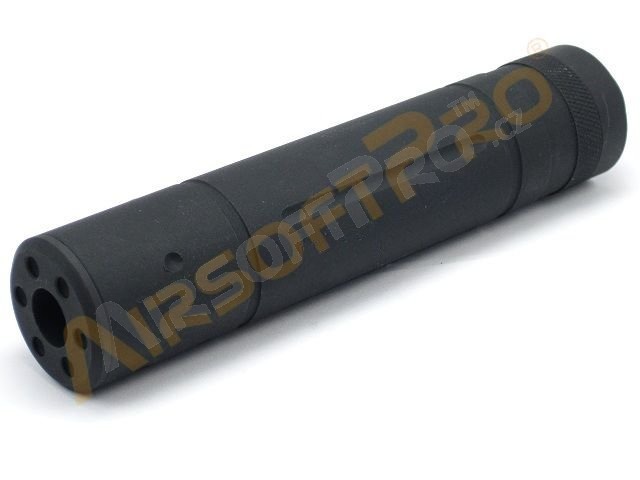 Length: 145mm, Diameter: 31mm. 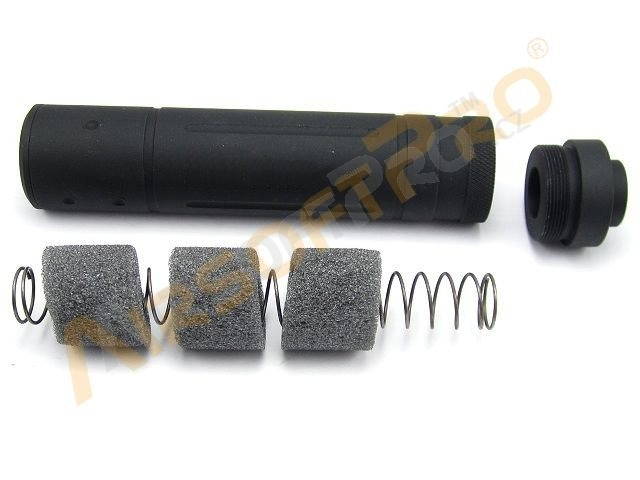 Notification: Silencers adapters can be without any logo or have have different logos. We cannot guaratee exact type.